Currently one of the recurring ideas that I've seen on the Monzo community boards is to have either joint accounts or multiple cards for your account. This feature is actually listed on the Monzo roadmap as long term feature right now. Okay technically I lied here because we're actually getting a separate card from a service called Curve (use promo code 2ETIB for £5 when you sign-up). 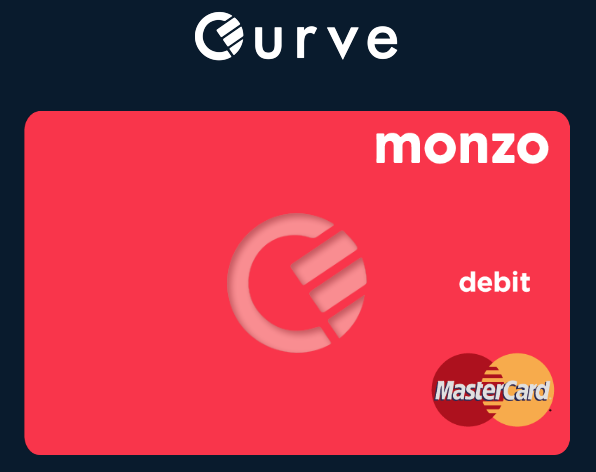 Curve is essentially a middleman for your accounts, when you make a purchase using your Curve card it automatically charges your Monzo card as an online transaction. That's it! It's actually incredibly easy to get started using Curve and the companion app is rather similar to the Monzo app. You can add more cards to Curve too so you can actually do away with all of your cards, although they're currently lacking Amex support which means it can't replace all of my cards just yet. What uses are there for two physical cards? There's always the safety of using Curve for going abroad/ to the pub. If you've ever lost your primary bank card you'll know the difficulties involved in ordering a replacement and then setting up all of your online services again with the new card. Nothing to worry about with Curve, you can de-activate the card in the app and get a replacement quickly but without the headache of updating your online services which is likely setup on your monzo/ any other bank account. Any other use cases that I've missed out? comment down below.